The outdoor venue is lush with flowers, and the gardens feature colorful perennials and annuals throughout the spring and summer seasons. 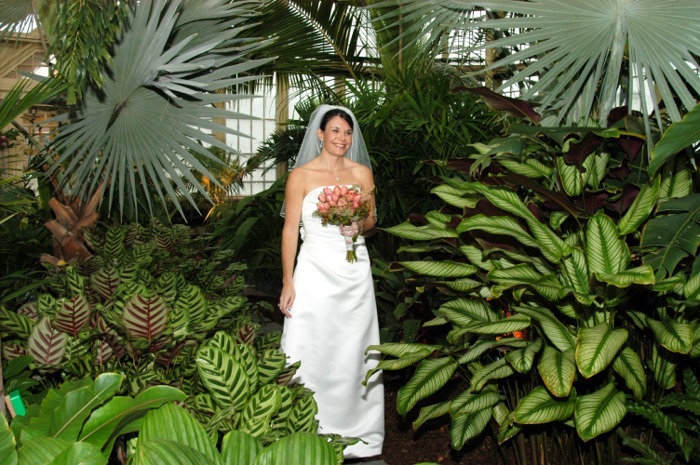 Indoors, there are five distinctive greenhouse settings, including the original Palm House from 1888, the Orchid Room, Mediterranean House, Tropical House, and Desert House. 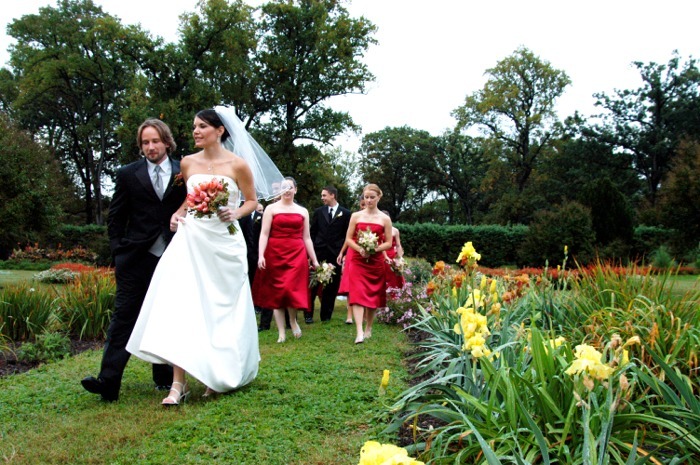 All are complete with walkways and secluded benches, and provide a picturesque setting for photographs of your event. Two display pavilions, each with a seating capacity of 48 guests, are perfect for receptions. Our spacious lawns are available for tenting. 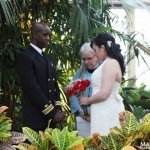 You can choose which setting is best suited for your wedding ceremony. 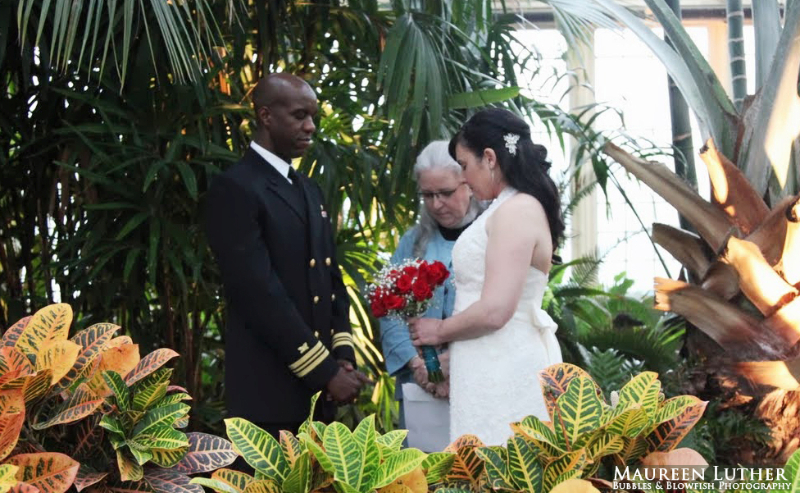 We can comfortably accommodate guests at our facility year-round while enjoying the wonderful views of the gardens. Tables and chairs are available for rental. The entire property can be yours to enjoy for the evening. Contact us for availability. If you have not yet seen the facility, it is recommended that you view the photo album below and stop by to explore the space on your own before scheduling a walk-through with the Events Coordinator. Photo shoot permits are also available! Read our policy and download an application here. Photos used by permission of David Clow and Maureen Luther.